Khon Kaen is the hometown of Lazy Tiger. This is a place tourists don’t visit often, so it’s nice to see more o of the daily life of local people. Our goal of the day was to get a visa for Laos for tomorrow. Further we saw some monkeys and fed them old bananas, so fun! And we played badminton with Lazy Tiger and his brother. 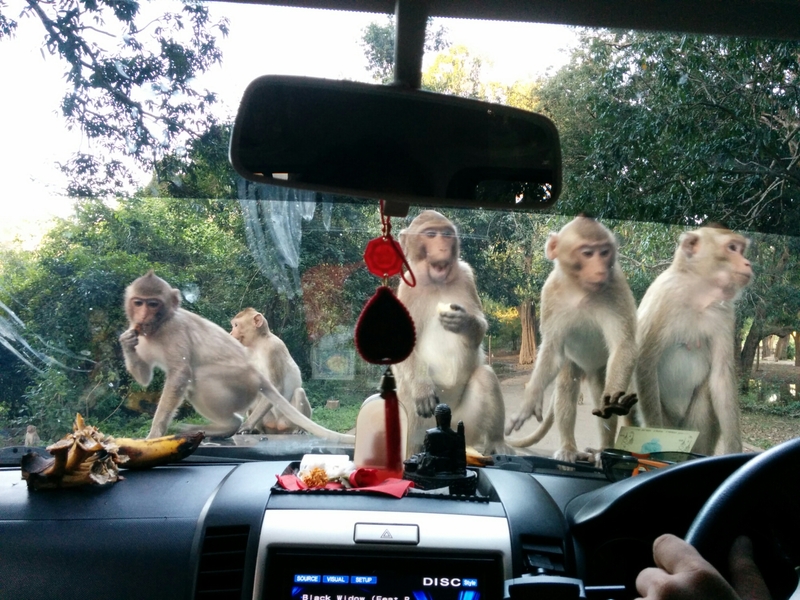 This entry was posted in Blog and tagged badminton, KhonKaen, monkeys, street food, Thailand. Bookmark the permalink.